At Intella Homes we pride ourselves in offering a custom design experience for our clients. With each potential home build, we sit down with you to discuss your vision for your dream home, personalizing it with sentimental touches. Then incorporating our knowledge of how to build an efficient, healthy home, we design a building plan that can withstand the harsh arctic climates of Alaska. We feel for a home to effectively reach its full potential it must start with a solid base – the initial design phase. We hope to revolutionize Alaskan building by continuing to push the envelope when it comes to design, weatherization and energy efficiency. Energy prices will always be unpredictable but at least with Intella Homes you can plan on using as little as possible. Our homes will keep you warm all winter long at a fraction of the cost of other building designs that do not use our standard for energy efficiency. Intella Homes is the Exclusive GVEA Home Sense Energy Auditor. This allows us to provide the community with education on energy cost and how you can save money on your specific home. Home Sense audits are provided for members ranging from Delta Junction to Cantwell – most members receive enough information in their 90 minute audit to save them hundreds and sometimes thousands of dollars on their annual household energy consumption. Besides educating the community on the benefits of living in a more efficient, healthy home our focus at Intella Homes is putting people before the profit and science before the assumption! 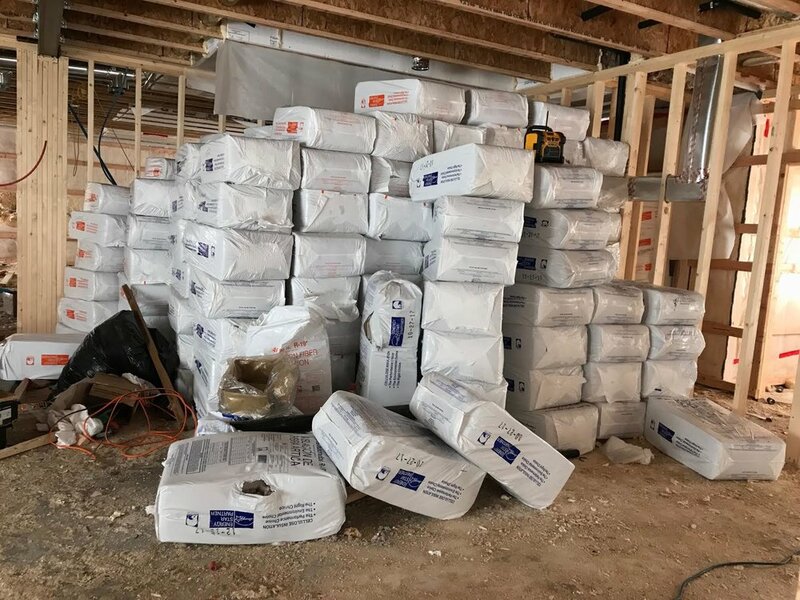 Currently, Intella Homes is building several houses a year, all over the Fairbanks North Star Borough area, with our innovative 16” wall system. The system uses cellulose and fiberglass to achieve an R55 wall. In comparison, for the same cost, most builders add 2”of foam board to a 2x6 wall and achieve about and R28. If done incorrectly, this can cause rotting problems. Along with our superior wall insulation, Intella Homes’ design allows for maximum air tightness with minimal effort, which adds the most efficiency. While energy efficiency is always a high priority, it doesn't mean style, craftsmanship and quality are less than superior. So, whether its building quality and affordable homes for the people of Interior Alaska or trying to educate them on their existing one, Intella Homes looks forward to being a good neighbor in the community and an innovator in arctic construction and living for many more years to come. Brannon Richart is the proud owner and General Contractor of Intella Homes. He was born and raised in Fairbanks and loves his hometown. Early on Brannon knew he had a love for home construction. He received his first general contracting job at the age of 20, which was the youngest in the state of Alaska at the time. Brannon wanted better working knowledge of home building and to see real life construction failures. This lead to a pause in his home building career. He became a manager for a local weatherization agency, which gave him the opportunity to study thousands of existing homes. In his time there, Brannon had responsibilities from technical assistance, to policy writing and most things in between. In his time with weatherization, he was presented with the Pushing the Envelope award by the DOE at the 2012 Energy Out West Conference. During this time Brannon also provided safety training through Alaska Construction Saftey, to include OSHA 10, OSHA 30, 1ST AID/CPR and general jobsite safety. After years of working and seeing subpar construction, Brannon decided there had to be a better way to build. With 8 years of building experience under his belt, Brannon decided it was time to give back to his community by launching Intella homes in 2013. His company has been proudly building homes for half a decade now. In 2015 Brannon and Intella Homes earned the highest achievement awarded to a builder in the state of Alaska by Alaska Housing Finance Corporation for building the most efficient house in the state of Alaska. Most recently, he's been collaborating with the University of Alaska Fairbanks Cold Climate Research Center to better educate the community and reach their goals of producing more efficient, healthy and affordable homes within our state.